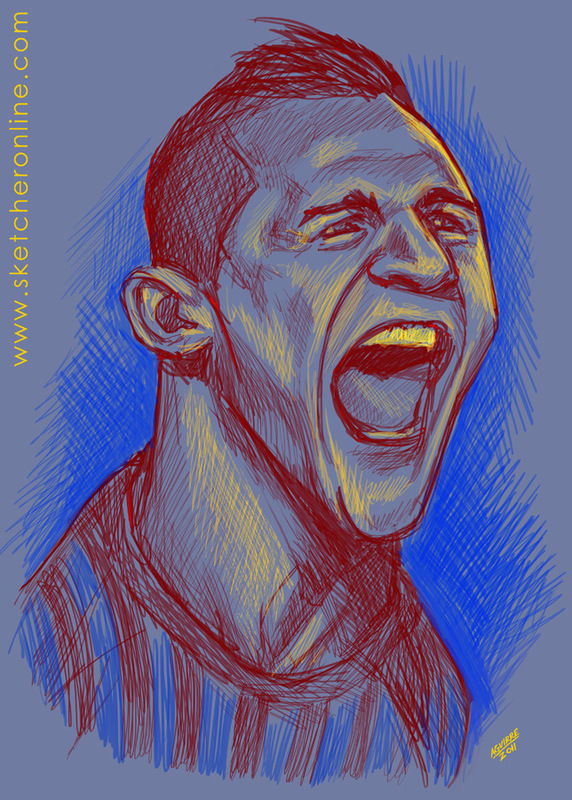 This is Alexis Sanchez and he is the new player of FC Barcelona. It is just a quick sketch I did this morning, nothing detailed. I just wanted to experiment a bit with color as opposed to the usual grayscale sketch. I will do one of Fabregas if he ever manages to seal the deal.